In the run up to Chinese New Year, it is strongly believed that families should throughly clean their house. This gets rid of all of the bad luck fro the previous year, and is the cleanest and most positive way to welcome in the new year. Making sure that every part of the house is clean is crucial, because for the whole of the Chinese New Year celebration period it is bad luck to clean the house for fear of sweeping away the new fortune. Chinese New Year is all about celebrating family and being grateful for one and other. 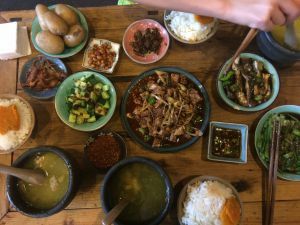 It is therefore very common for those celebrating Chinese New Year to have a big Family Reunion Dinner which is the most important part of the celebrations. So many people travel to see their families, no matter how far. According to the China Centre Television, China had a 2.978 billion vehicle traffic on the roads during 2017 Chinese New Year! During Chinese New Year, people must not swear because this will bring bad luck for the year ahead. So you must be on your best behaviour at the family gatherings. Red envelopes are the most well known tradition of Chinese New Year. In Southern China, red envelopes are typically given by the married to the unmarried, most of whom are children. In northern China, red envelopes are typically given by the elders to the younger under 25. Varies depending on the different locations. Red envelopes contain money and are a sign of good fortune. More recently, Chinese people are gifting digital red-envelopes. Analysts estimated that over 100 billion digital red envelopes would be sent over the New Year holiday in 2017. WeChat users alone sent 46 billion digital red packets over Chinese New Year in 2017. New clothes are often bought as gifts during Chinese New Year to being a fresh start and good luck. The colour red is particularly lucky so children are often gifted red clothing. In Northern China dumplings are considered one of the most important foods during Chinese New Year celebrations. Because the shape of the dumplings is similar to ancient silver and gold ingots, they are believed to symbolise wealth and fortune. Dumplings are usually made by families for the family dinners. 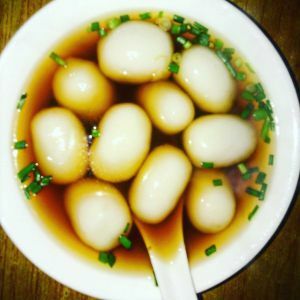 In Southern China it is Tangyuan that is eaten during the Chinese New Year Lantern Festival, particularly at breakfast time. Made up of glutinous rice and water, it is rolled into little balls. It can also be served during Chinese Weddings, Winter Solstice Festival and any other family occasions. Traditionally, it is believed that the loud noise of the firecrackers serves to scare away a Monster (Monster name: Nian shou). Legend has it that once every year at the beginning of Chinese New Year, Nian comes out of hiding to feed, but during winter since food is sparse he would go to the village. He would eat the crops and sometimes the villagers, mostly children. Weaknesses of the Nian are purported to be a sensitivity to loud noises, fire, and a fear of the color red. This is why fireworks and the colour red are important. As you may be well aware, the Chinese Zodiac employs a cycle of 12. There are 12 animals in the zodiac and each year welcomes a new animal. In China, the animal cycle goes like this: rat, ox, tiger, rabbit, dragon, snake, horse, sheep, monkey, rooster, dog and pig. 2018 is the year of the Dog. People are born under one sign and will run into their sign again every 12 years. So it’s important to be aware of your benming nian (本命年), or the meeting of one’s zodiac year. Chinese traditional belief is that your benming nian is going to be full of bad luck. So if it’s your year, you need to take a few precautions to ensure that your year is not a bad one – it is recommended that a great way to do this is to wear Red underwear. So if you were born in the year of the dog (1946, 1958, 1970, 1982, 1994, 2006) then go and treat yourself to some new undies. CNY is celebrated in countries and areas with large Chinese populations, including Mainland China, Hong Kong, Taiwan, Singapore, Macau, Indonesia, Malaysia,Vietnam, Thailand, Cambodia, Australia, Mauritius, and the Philippines. Chinese New Year is a national public holiday in some countries of Southeast Asia, and considered to be one of the most important holidays of the year. Chinese New Year’s Eve is typically a half-day holiday for Malaysia and Singapore. The biggest celebrations take place in Malaysia (notably in Kuala Lumpur, Penang and Klang) and Singapore. 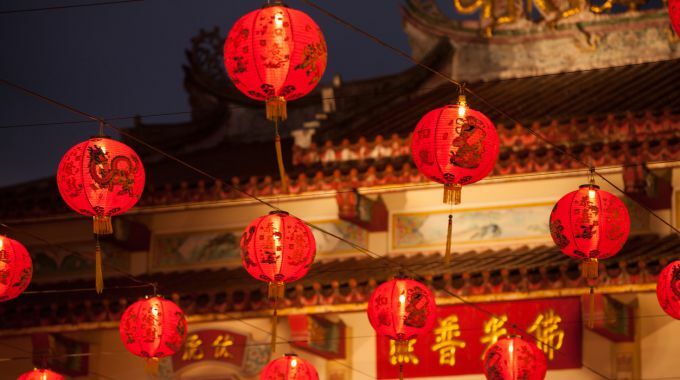 Do you have any Chinese New Year Traditions? We would love to hear from you. 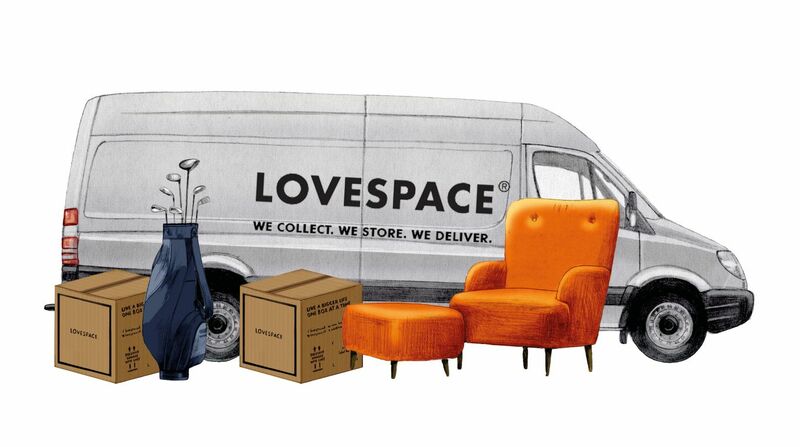 Tweet us at @LOVESPACEUK with the hashtag #LOVESPACECNY.